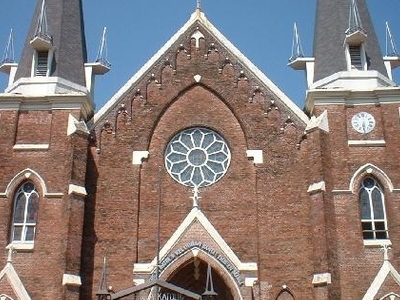 Catholic Church of Nativity of the Blessed Virgin Mary is one of the old churches in the city , built in 1815 Surabaya . Located in Jalan Kepanjen , Surabaya , this religious building adjacent to the high school building Surabaya Catholic friary . Before the construction of the Catholic Church Nativity of the Blessed Virgin Mary , the Catholic Church has built a European-style first in Surabaya located Kepanjen and Kebonrojo street corner . At first the two priests on July 12, 1810 , Hendricus Waanders and Phillipus Wedding comes from the Netherlands by ship to Surabaya . Wedding Father then assigned to Batavia while Pastor Waanders settled in Surabaya . Here's the our members favorite photos of "Churches in Surabaya". Upload your photo of Church of the Nativity of the Virgin in Santa Maria!